Lily is black as black can get. Her fleece is fine, of medium density and crimp, and with a very soft handle. 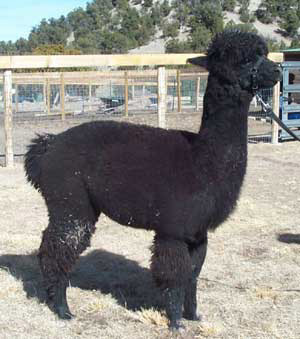 Lily has been bred to a full Peruvian, true black male for a fall 2005 cria. We are thrilled to add Lily's quality bloodlines to our herd!